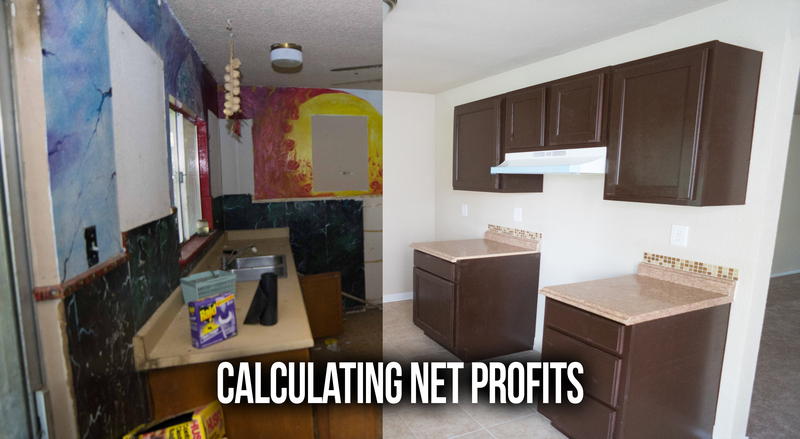 How do you Calculate Net Profits on a Real Estate Deal?!?! I’m actually going to walk through the process of teaching you, how to go out there and calculate NET PROFITS. Now, I want you to think about it like this. There’s a BUY side of the transaction and then there’s a SALES side of the transaction. You’re going to be paying closing cost on the BUY side of the transaction, and you’re going to be paying closing cost on the SALES side as well. So I’m about to teach you the differences between, HARD COST and SOFT COST, also known as FIXED cost and VARIABLE cost. It may sound incredibly complicated, but I’m going to BREAK IT DOWN to a VERY SIMPLE FORMAT. To where you go out there and do your first real estate deal, even before you buy it, you should know your approximate NET profit. Which is how much money actually goes, in what I call HIP National Bank. BAM! Right there in YOUR pocket! Now, there’s a difference between gross profit. The difference is what is known as your hard cost or fixed cost, and your net profit which calculates hard cost or fixed cost and soft cost or variable cost, it subtracts the cost from the seller of the property and then you have your NET PROFITS. SO, watch this video! I think that you’re going to love it as we go through how to calculate net profit in a real estate deal whether it’s a flip, a rental property, or a commercial property so you begin to understand how much money you can make on a deal before you ever buy your first transaction.